This page is a subsidiary page to Germans in France. 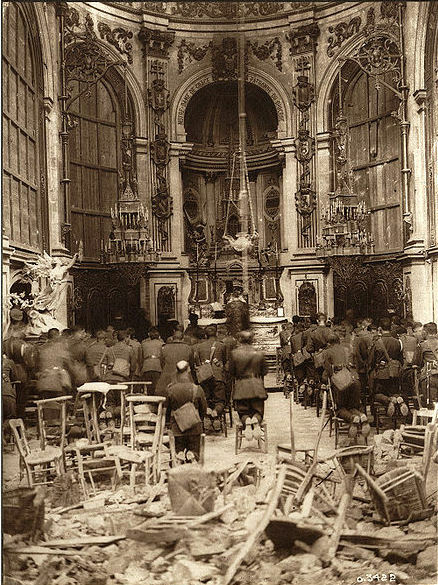 what was cambrai cathedral like before the french revolution? As the capital city of Arras, under the Ancien Régime Cambrai had a beautiful cathedral. She was nicknamed "the wonder of the Low Country." There were also two abbey churches: those of Saint-Aubert and of the Holy Sepulchre. 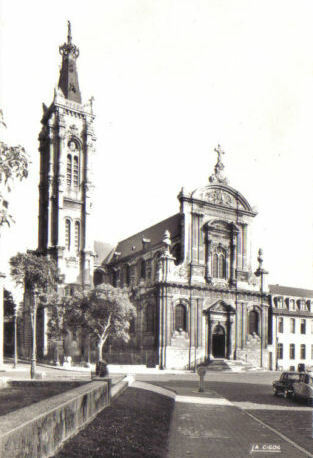 During the Revolution, with the Civil Constitution of the Clergy of 1790, Cambrai was entitled to three parishes: the Cathedral, Saint-Aubert and the abbey church of the Holy Sepulchre (which became a 'constitutional church'). Two years later, the parishes were abolished. 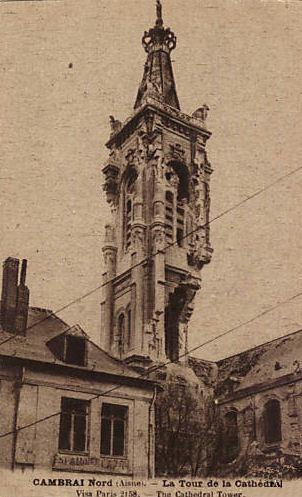 The old cathedral at Cambrai was not rebuilt after its destruction during the French Revolution. It was substituted by a church that was originally the church for the Abbey of St-Sulpice. This abbey church was built between 1696 and 1703. It had survived the Revolution because it was used as a granary, and then became a Temple of Reason. 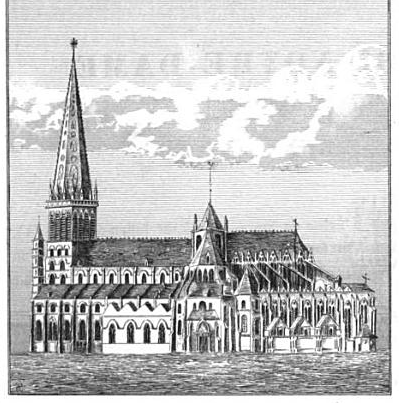 In due course, the building was reconsecrated, first as part of a bishopric in 1802, then as part of an archbishopric, and so a cathedral, in 1841. It did not escape German attacks in World War One. I believe that the painting above may be by Adam Frans Van der Meulen, 1632-1690. In 1677, Louis XIV took Cambrai from the Spanish-Dutch alliance. This was after earlier, unsuccessful attempts by Louis XI in 1477, and Henry III and Henry IV between 1581 and 1595. Adam Van der Meulen was campaign painter to Louis XIV. Louis XIV had along with him, his court artist, who painted several pictures associated with the siege and fall of Cambrai. Unfortunately, I do not know where the above painting is currently housed, and I am not certain that is is, in fact, by Van der Meulen. If anyone can help with further information or illustrations for the medieval cathedral, or the origins of the illustration used by abelard.org, please let us know. As well as ugly ninteenth-century glass and windows made by cobbling together bits shattered during WW1 shelling, there is also a series of good quality modern windows. They are however, rather stereotyped. A closely woven white linen or cotton fabric, first made in Cambrai. It is often treated by being put through calendaring rollers make a glossy surface. Cambric is also known as batist, especially when used for embroidery and lacework. A heavy version, often used for work shirts, is called chambray. This material is most often coloured blue, and so the resulting blue work shirts are the origin of the term‘ blue-collar’ for manual workers. Cambric was first made in the late 1500s, being used to make a variety of items including ruffs, petticoats, wall hangings and curtains.